Ocean City was going to be my first coastal stop for the day, but I ended up staying nearly all day! 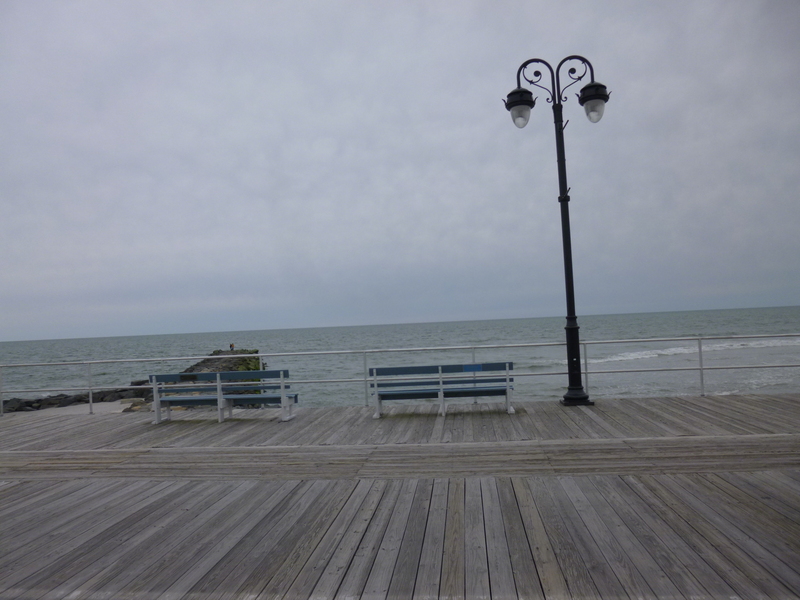 It was a wonderful town with a friendly, family atmosphere and a great boardwalk, and fun town and neighborhoods to walk through. 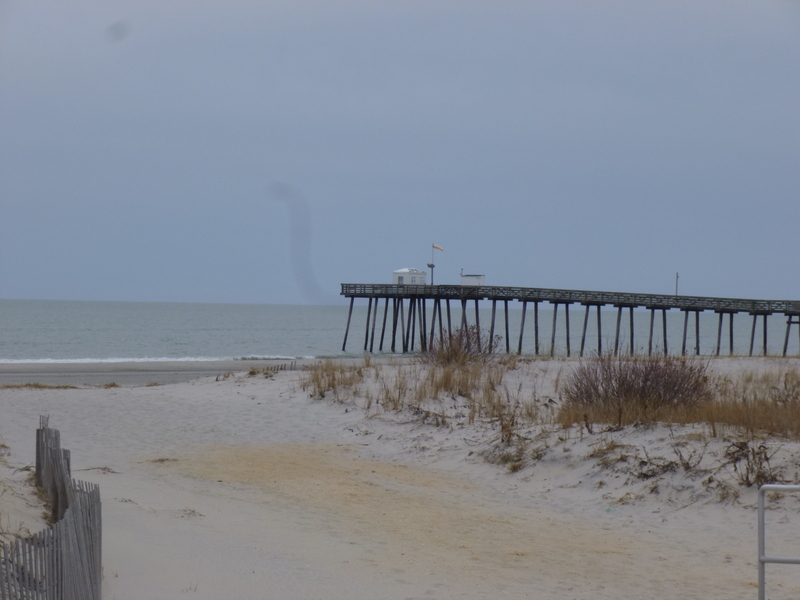 It’s not all that far from Atlantic City, but the difference in atmosphere is astonishing. I’m sure most of the difference is the lack of casinos, but I’ll take Ocean City over Atlantic City any day! I had a quick brunch at a cafe that had just opened for the season, and since dogs weren’t allowed on the boardwalk at any time, we set off for a 2 1/2 mile walk through the part of town with the historic neighborhoods, and the downtown area. Even though it was a Sunday, shops were open and there were lots of people out shopping and walking, and enjoying a sunny, although cool day. 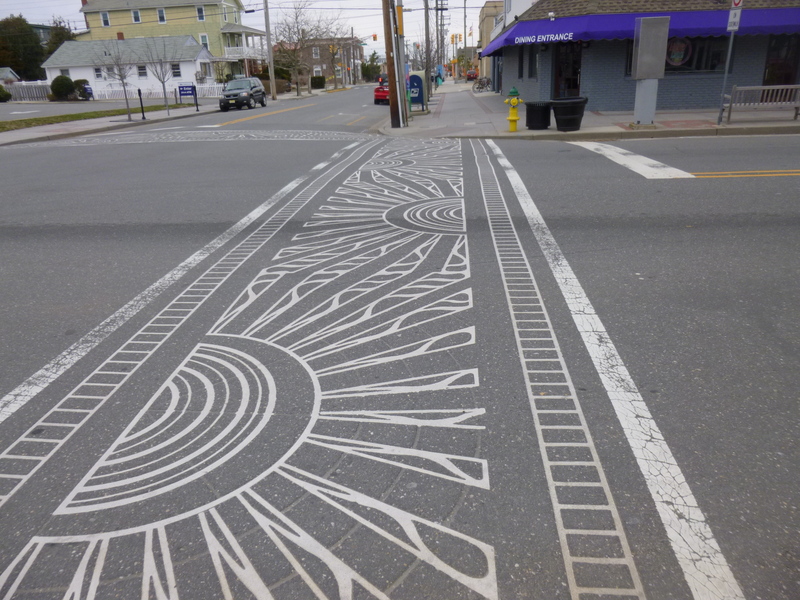 They’ve got the prettiest painted crosswalks I’ve seen yet! 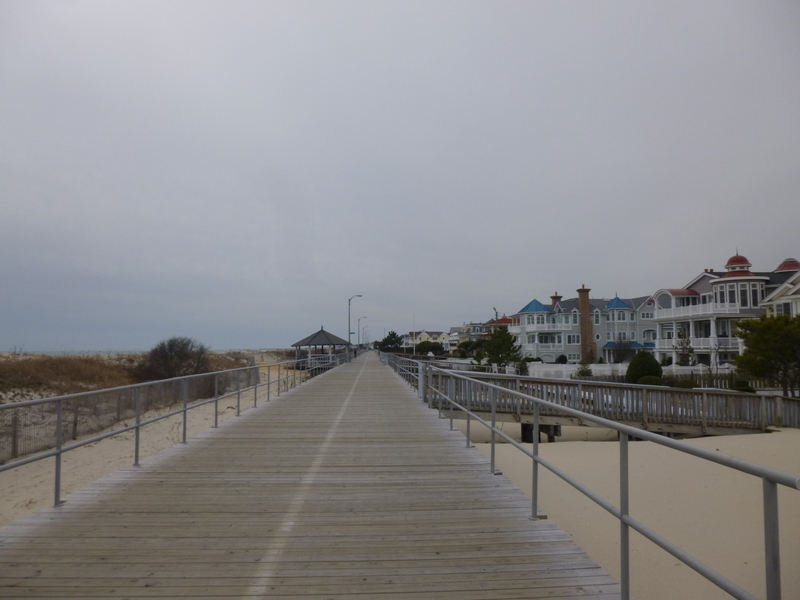 Then I put Tula in the car and walked the 2 1/2 mile boardwalk from end to end, getting in another 5 miles. 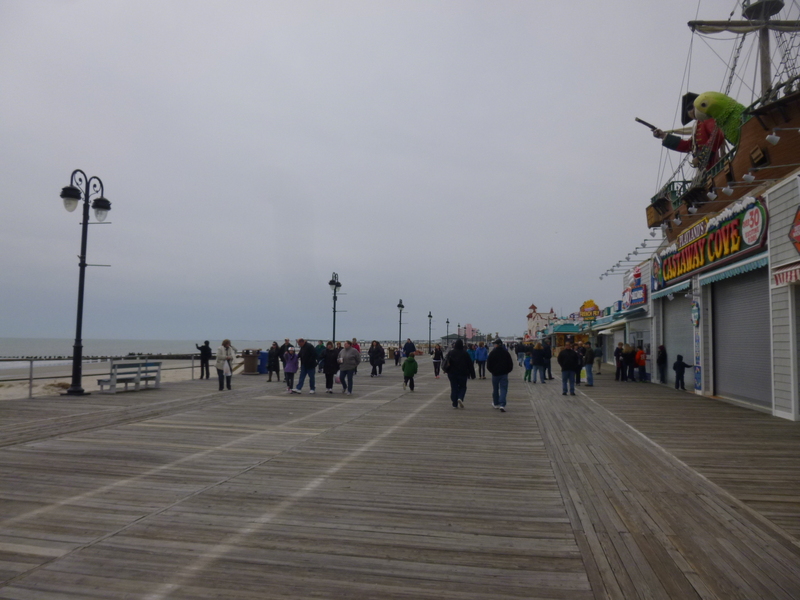 Not all of the shops were open along the boardwalk, but enough of them were to make it interesting. And it smelled good – all the fudge and candy and popcorn and taffy shops were doing a brisk business and handing out free samples. 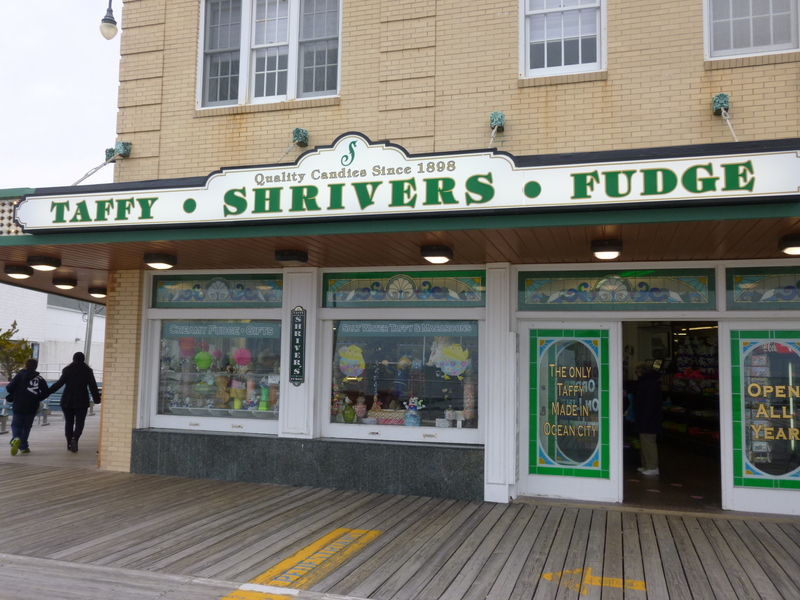 I succumbed to the warm caramel corn after my 5 miles and bought some saltwater taffy to send to the kids for Easter – it’s such a classic Atlantic Boardwalk treat! They’ve been making it there since 1898. 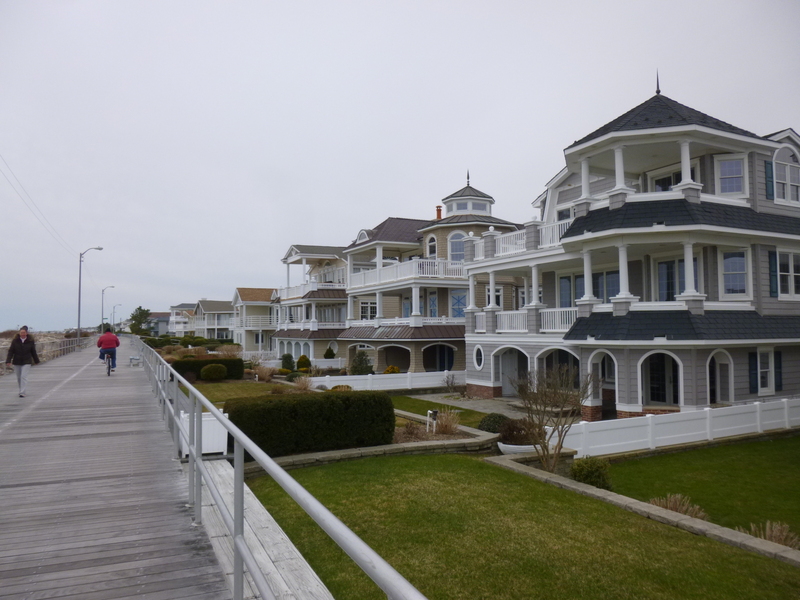 The boardwalk went past a long stretch of pretty oceanfront homes too, and lots of people were walking, jogging and riding bikes. There’s also places to rent surreys, but I didn’t see any of those out yet. Altogether I got 8.8 miles of walking done in Ocean City. I didn’t make a donation today since I had done 2 of them yesterday. 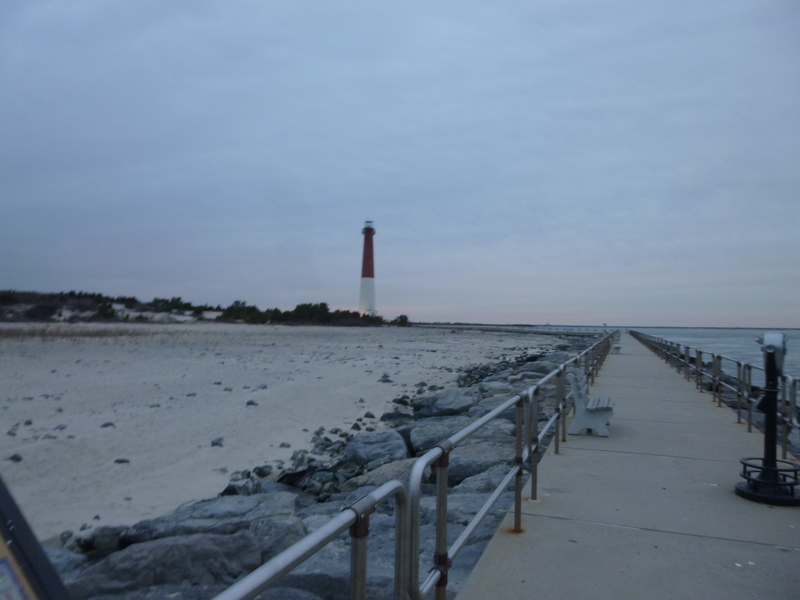 New Jersey has quite a string of outer barrier islands with little towns along them, and I figured I had enough daylight to head over to one of them. 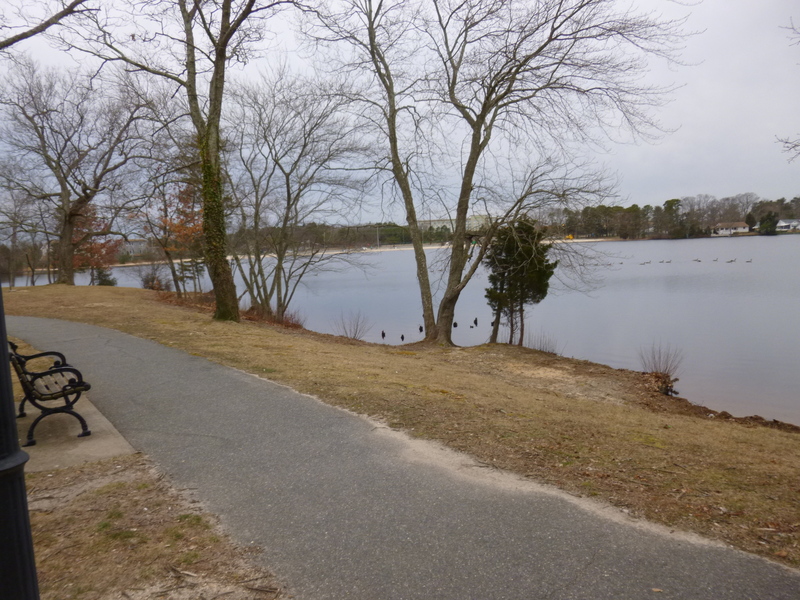 So I drove a little north of Atlantic City and first we stopped at a park in Manahawkin to get in some walking (after all, Tula was napping while I was getting my 5 miles in on the boardwalk!) and then I took the causeway over to one of the long, skinny barrier islands. 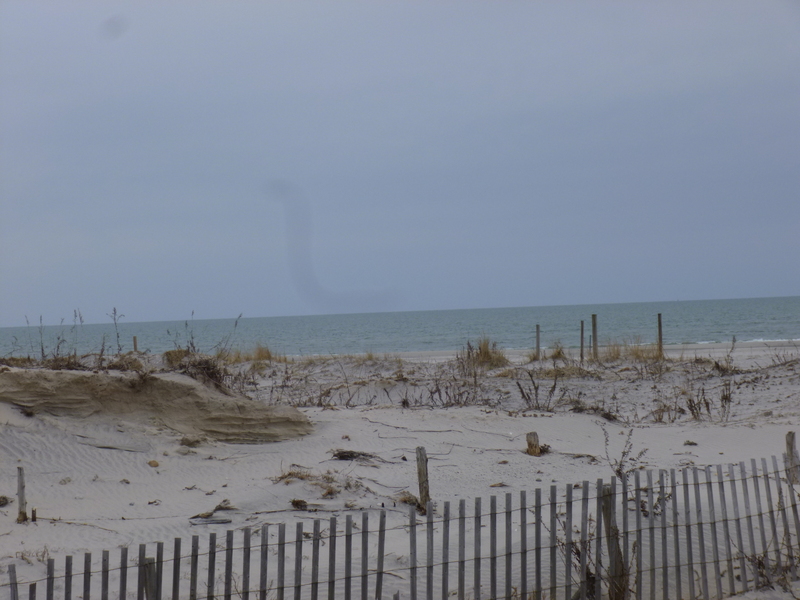 The towns seemed to be mostly vacation homes – block after block after block of homes and sand, with a few surf shops and restaurants thrown in. There didn’t seem to be very many people around. 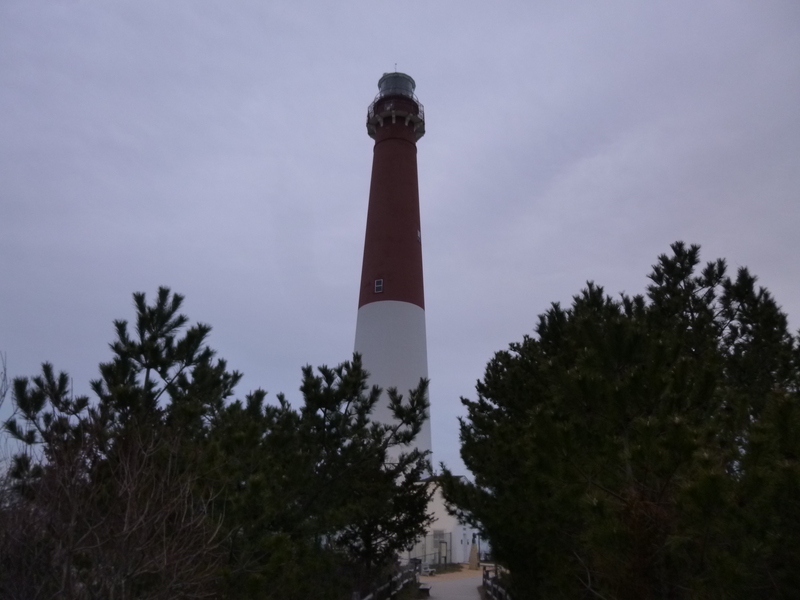 I drove through the northernmost town and stopped at Bamegat Lighthouse State Park – Tula and I were able to get out for a couple more miles of walking as the sun went down. And I had a total of nearly 11 miles for the day – I was happy with the extra miles I’ve walked so far in New Jersey because there’s a very sloppy, snowy forecast for the morning.